Place this Safavieh Courtyard area rug in your dining room when you need a splash of style. Keep it classy, quality, and stylish with this indoor/outdoor rug made from plush synthetic material. The machine-made construction of this rug makes it high-quality and durable. Quality comes first in this geometric patterned brown rug. This Safavieh Courtyard area rug adds a touch of modern flair to the design of any area in your home. Make your hallway, dining room, or living room more stylish with this indoor/outdoor plush synthetic rug. Make a lasting style statement with this machine-made rug. This brown rug has a fashionable geometric pattern to add some flair into your home. Courtyard Alex Dark Brown 6 ft. 7 inch x 6 ft. 7 inch Indoor/Outdoor Round Area Rug Interior design is easy when you add this high quality Safavieh Courtyard area rug to your home. Crafted to be an indoor/outdoor piece, its plush synthetic material is unique and comfy at the same time. A durable product is assured with this machine-made rug. 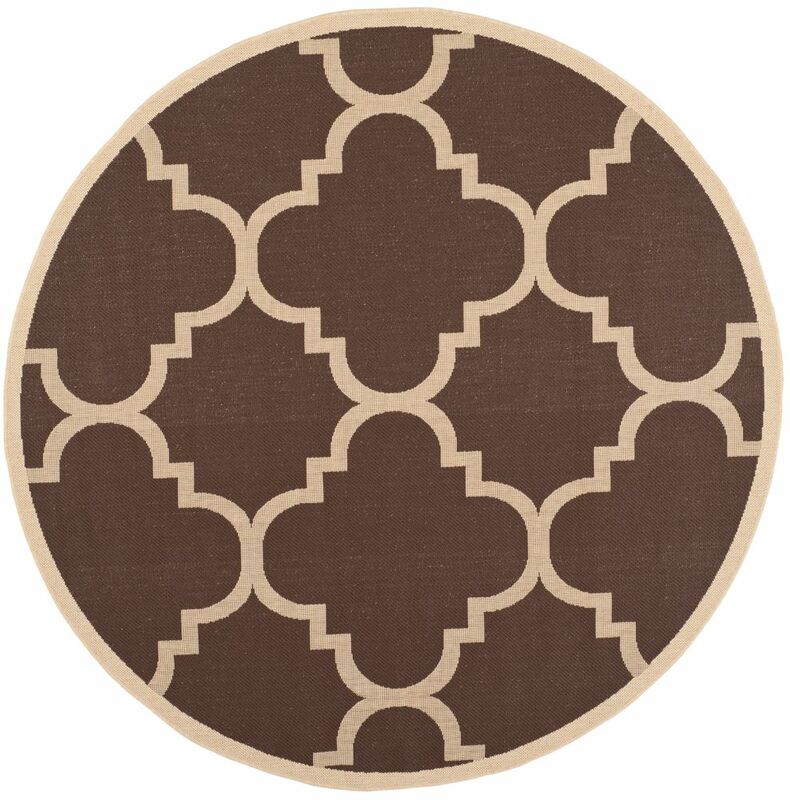 You and your guests will enjoy the lovely geometric pattern that decorates this brown rug.